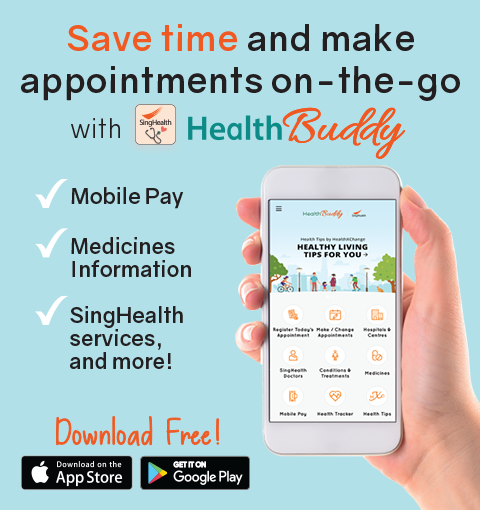 ​This website is owned by Sengkang General Hospital. Not to obtain or attempt to obtain unauthorised access, via whatever means, to any of Sengkang General Hospital’s systems. 2.1 You may not reproduce, republish, upload, post, transmit, distribute or link in any way any material from this Web Site without the prior written permission of Sengkang General Hospital. 2.2 If you download any software from the Web Site, including any files, images incoroporate in or generated by the software, and data accompanying the software (collectively, the “Software”) are licensed to you by Sengkang General Hospital. Sengkang General Hospital does not transfer title to the Software to you. You own the medium on which the Software is recorded, but Sengkang General Hospital retains full and complete title to the Software, and all intellectual property rights therein. You may not redistribute, sell, transfer, decompile, reverse-engineer or otherwise deal with the Software. 3.1 Sengkang General Hospital makes no representation or warranty (either express or implied) as to the completeness or accuracy of the information it contains. 4.2 The materials in this Web Site are provided “as-is” and without warranties of any kind either express or implied. To the fullest extent permissible and subject and pursuant to applicable law, Sengkang General Hospital disclaims all warranties, express or implied, including, but not limited to, implied warranties of satisfactory quality, merchantability and fitness for a particular purpose. Sengkang General Hospital does not warrant that the functions contained in the materials will be uninterrupted or error-free, that defects will be corrected or that this Web Site or this server that makes it available is free of any virus or other harmful elements. 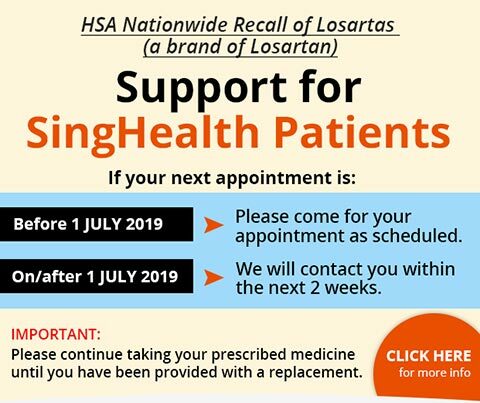 Sengkang General Hospital does not warrant or make any representations regarding the correctness, accuracy, reliability, or otherwise of the materials in this Web Site or the results of their use. 6.1 Subject to applicable law, under no circumstances, including negligence, will Sengkang General Hospital, its directors, employees or agents be liable for any loss of profits, direct or indirect losses including punitive, exemplary, special or consequential damages that result from the access to, use of, or the inability to use, the materials in this Web Site, even if Sengkang General Hospital or a Sengkang General Hospital authorised representative has been advised of the possibility of such damages. 6.2 Sengkang General Hospital is also not liable or responsible for any material provided by third parties with their own respective copyright and shall not under any circumstances, be liable for any loss, damages or injury arising from these materials. 7.4 The arbitral tribunal shall consist of one (1) arbitrator to be appointed by mutual agreement between you and Sengkang General Hospital. Any party may propose to the other(s) the name or names of one (1) or more persons, one (1) of whom would serve as the arbitrator. If no agreement is reached within thirty (30) days after receipt by one (1) party of such a proposal from the other, the arbitrator shall be appointed by the Appointing Authority. The Appointing Authority shall be the Chairman of SIAC. The arbitrator must not be a present or former employee or agent of, or consultant or counsel to, any party or any related corporation as defined in Section 6 of the Companies Act (Cap 50) of any party. 7.5 Any decision or award of an arbitral tribunal appointed pursuant to this Section will be final and binding on both you and Sengkang General Hospital and the execution thereof may be entered into any court having jurisdiction.7.6 You undertake to keep the arbitration proceedings and all information, pleadings, documents, evidence and all matters relating thereto confidential. 8.1 All content on the Web Site, including designs, text, graphics, pictures, videos, information, applications, software, music, sound and other files and their selection and arrangement (“Web Site Content”) are the proprietary property of Sengkang General Hospital, its users or its licensors and all rights are reserved. No Web Site Content may be modified, copied, distributed, framed, reproduced, republished, downloaded, scraped, displayed, posted, transmitted, or sold in any form or by any means, in whole or in part, without Sengkang General Hospital’s prior written permission. 8.3 Sengkang General Hospital and other Sengkang General Hospital graphics, logos, designs, page headers, button icons, scripts and service names are registered trademarks, trademarks or trade dress of Sengkang General Hospital may not be used, including as part of trademarks and/or part of domain names, in connection with any product or service in any manner that is likely to cause confusion and may not be copied, imitated, or used, in whole or in part, without the prior written permission of Sengkang General Hospital. 9.1 This Web Site contains links to other web sites which are not maintained or owned by Sengkang General Hospital. Similarly, the other web sites may contain links to this web. 10.1 Sengkang General Hospital may change any part of this Web Site at any time at its sole discretion without notice. Sengkang General Hospital may deny access to this Web Site to anyone at anytime.